Warning for gore, assault, and suicide. Following on from Wonder Woman v.2 #160 comes Wonder Woman v.2 #161. And then, after a fashion, comes Wonder Woman '77 #14, where Manhunter writer Marc Andreyko did a Clayface story set on Paradise Island. When we left the scans in the previous post, Clayface had announced that he was going to take Diana's Clay and get Wonder Woman powers, in a fit of logic only matched by Absorbing Man trying to break into a museum to steal some moon rock. It worked, thanks to Comic Book Logic, and Clayface became super strong and could fly, but Diana wasn't destroyed, only left weaker and younger. *In 2017, that would be a relatively big deal. 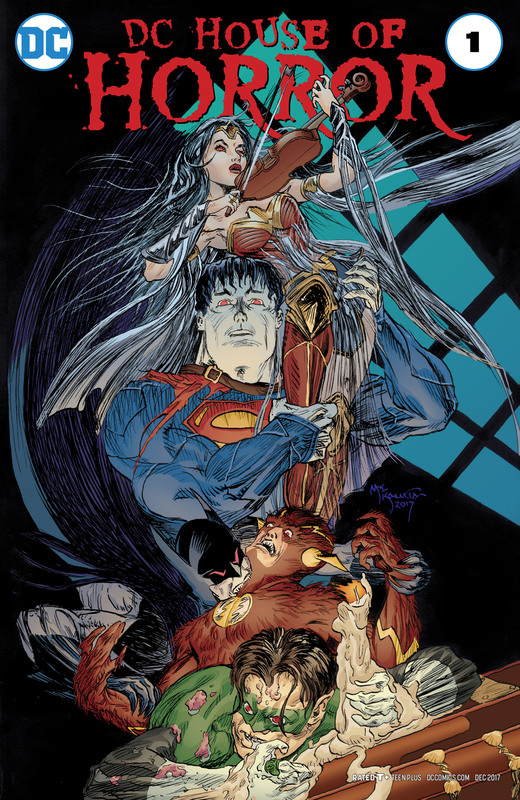 But in 2000, when Wonder Woman Vol.2 #160 was released, it was just a two part story in among a series of short one and two part stories by artists and writers whose name I don't really recognise, though art in this story is handled by Scott Kolins. This two parter is collected in the Batman: False Faces trade that has BKV's early work at DC writing Batman, Batvillains, and Wonder Woman. It's nothing amazing, but it does give a nice Wonder Woman story with an angle that seems obvious in hindsight. I haven't read a lot of Wonder Woman, apart from some stuff around Infinite Crisis (over a decade ago. Gosh. ), the Power Girl guest appearance, and bits of Sensation Comics until I ended up behind. The story starts with Cheetah holding a car above her head and threatening that "If Wonder Woman doesn't show up in the next five minutes...I will kill every last one of you". Two cops are watching and ready to run out from behind cover to engage Cheetah when Wonder Woman descends from the sky and says "I was hoping I could end this peacefully"
I must confess that the New 52 Blue Beetle did nothing for me. It took some of the elements of the original Jaime Reyes and rebooted it in a very (IMHO) cack-handed fashion, missing the point of the concept. It might have improved after the first coupleof issues, but since I dropped it at that point with no regrets I can't say. So I was rather cautious about the Rebirth launch, but I have to say I was pleasantly surprised. 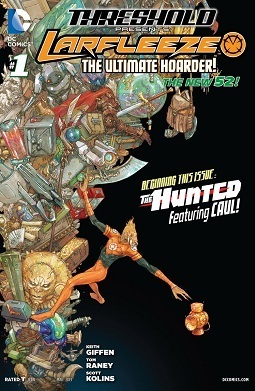 [Secret Wars] X-Men '92 #6: "Ten Out Of Ten"
Larfleeze #4: "Revolt of the Orange Lanterns"
Larfleeze #3: "Of Gods and Butlers!" 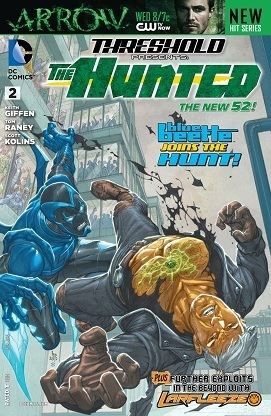 The break-out character from Geoff Johns' Green Lantern run explodes into avaricious action in his own brand-new series! 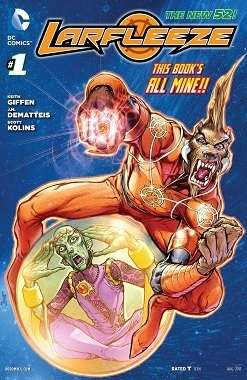 'Larfleeze is a chance to do a fun comic book, surrounding him with new characters, new villains, new ideas, new sections of the galaxy. New, new, new, new, new, new, new. Four pages from Legion #19, out today. Except for a brief check-in with the crash-landed team, almost the entire issue is Mon-El going toe-to-toe with the Emerald Empress on Weber's World. Mods, there's no tag yet for the second artist on this ish, Jeff Johnson, can we get one or are we totally maxed out now? He did about half the ish (as you see from the credits on the first posted page) and I hate to just ignore him. Current Music: Kermit, "It's Not Easy Being Green"
Back again with four pages from the hot off the press Legion of Super-Heroes #18, part 2 of the return of the Fatal Five. You'll recall that last issue in part 1, things fell apart rather spectacularly. We spent all our time with two teams of Legionnaires last issue; this time we check in with the rest, and things aren't looking any better on the home front. So that's four out of five accounted for: Tharok, Persuader, Validus and the one in the next ish teaser. Will it be faithful old Mano, or someone new in the fifth slot? 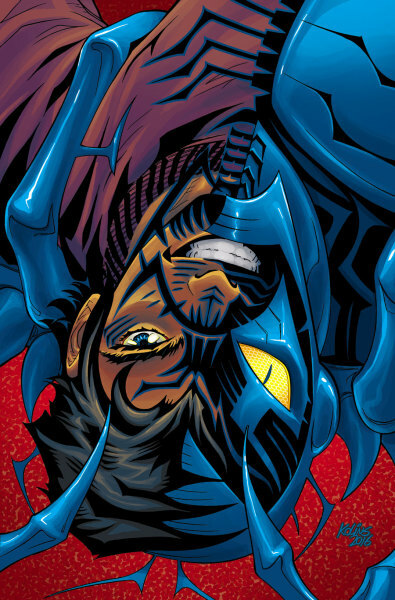 Current Music: REM, "It's the End of the World As We Know It"
Keith Giffen returns to writing Jaime Reyes. 3 pages from LOSH #16, a filler issue in which we hang out, elect a new Legion leader, and move the last pieces into place for the return of the Fatal Five. But I won't keep you in suspense about the popularity contest leadership election! Next issue: Things Fall Apart. 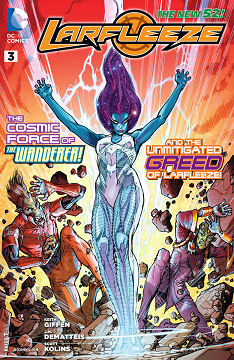 Keith Giffen's new DC outer space series, Threshold, launched this week. Each issue will feature two ongoing stories: One is "The Hunted," a RUNNING MAN/HUNGER GAMES sort of deal set in Lady Styx's territory. 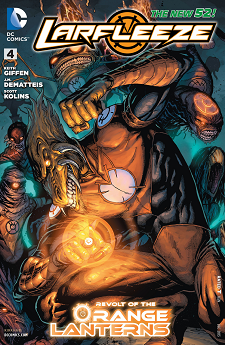 The other is "Larfleeze." Here are four pages from Green Lantern: New Guardians Annual #1. 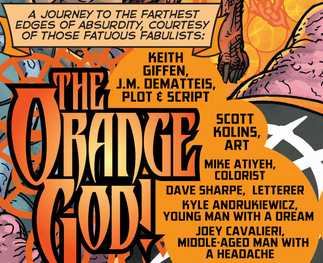 A one-shot penned by Keith Giffen, this comic returns the writer to superheroic space opera and one of his favorite words. Things are still building slowly in this weeks LOSH #14, but they are building. Four pages. Love that teaser for next ish, because "Witch in a Time Storm" means either Glorith or Mysa will be turning up. Either would be dandy by me! Current Music: Matchbox 20, "Straight Up"
Interestingly, while Legion Lost is firing on almost all thrusters in the current issue, LOSH #13 is idling in low gear for a bit. 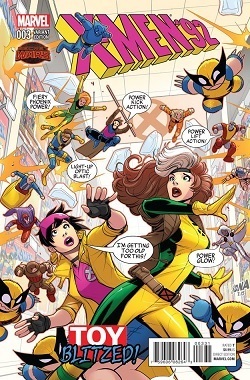 It's a bridge issue between the Dominators mess of the past several issues and the next big thing, whatever it may be. Meanwhile, we get to see the Legionnaires going about their workaday business, some of which actually does involve mining. I bring you 4 pages of checking in with the troops. So there you go. Remember, kids, Legion elections coming up, cast your vote for leader by Nov. 16! ETA: We've maxed out on tags already, really? I gotta whole slew of newbie Legionnaires to tag here! Current Music: Devo, "Workin' In a Coal Mine"